The Autism Intervention and Management Program (AIM) is designed for students whose educational functioning is significantly impacted by features of High Functioning Autism/Asperger Syndrome. Instruction is based on grade level TEKS. For core academic areas, the primary instruction is delivered by general education, with specialized support from the AIM program. The AIM classroom serves as a home base/resource room for students, providing re-teaching, direct instruction on IEP objectives and support services as specified in the IEP. The AIM instructor serves as the monitoring teacher and AIM paraprofessional supervisor. Paraprofessionals report student progress to instructors and from there the teacher communicates to the parent as needed. 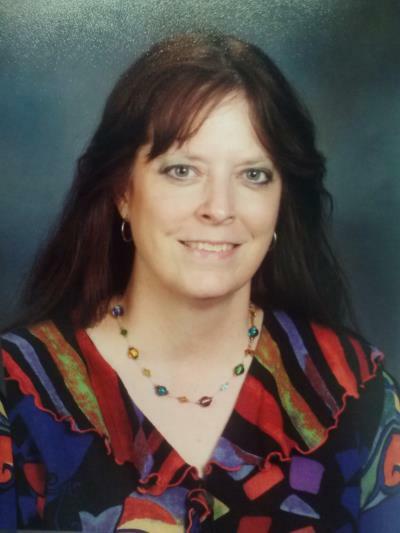 I am in my 11th school year as a paraprofessional here at Memorial High School. I have a Bachelor’s degree from Stephen F. Austin State University in Marketing/Management and for 20 years, I worked in the private sector. My first job out of college was an accounting assistant position at an advertising agency and I was there for a decade. That was a very exciting experience for me! It wasn’t as glamorous as TV makes it out to be, but fun nevertheless. My second job was as an administrative assistant at a CPA firm. The accounting industry was very different from the world of advertising, but offered me a very fulfilling professional life. I decided that I needed a change both professionally and personally after 10 years at the CPA firm, so I decided to take a big leap and make a meaningful career move into special education. The big reason for my interest in special education was due to my oldest son having many educational and medical issues and I thought I could draw on my experiences with him to help other students with similar educational challenges. I am a happily married and the working mom of two great boys! We have a reptile rescue and breeding business that our family shares a passion for and are members East Texas Herpetological Society and are involved in the Hydrocephalus Association. During school breaks and summer, I work as professional pet sitter which is always interesting and at times challenging! My other interests are reading (science fiction and biographies are my favorites), painting with watercolors and oils, going to Renaissance Festival in costume, reptile and bird husbandry, camping and nature and listening to Celtic, Folk and 80’s music.